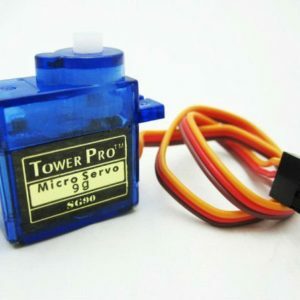 Developed an interest in electronics but have no idea where to start? 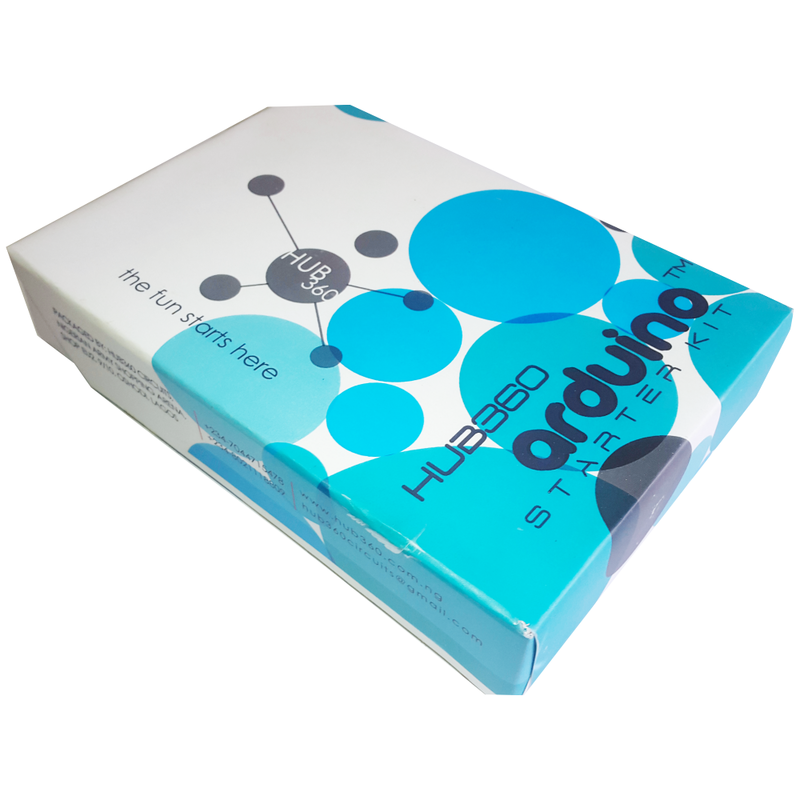 Great news for you as the HUB360 ARDUINO STARTER KIT is a great way for you to get started with embedded systems, micro controller programming, and electronics project prototyping! . 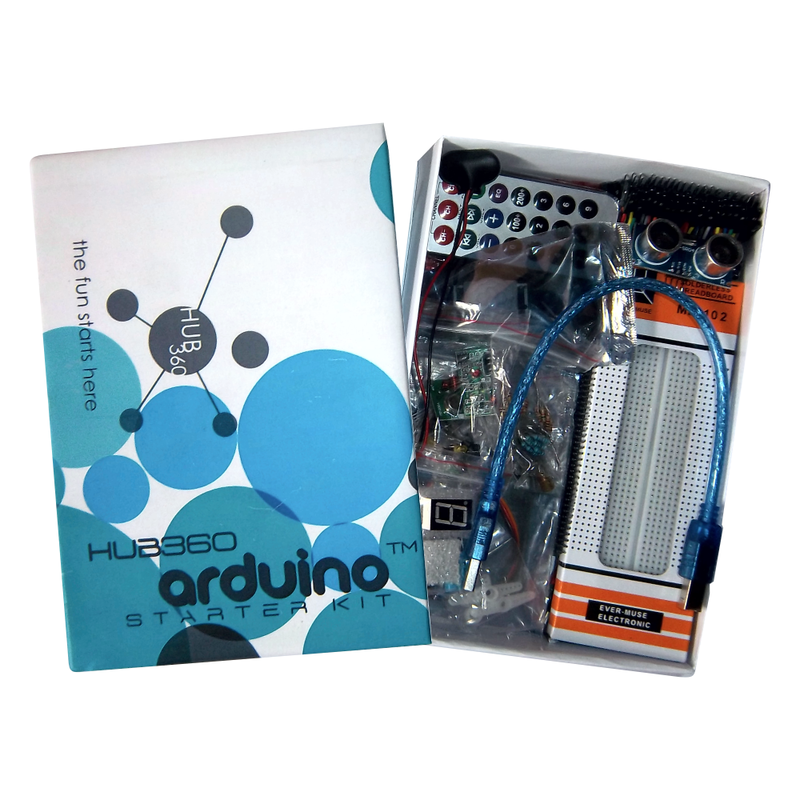 Be you an Electrical Electronics Engineering student,Computer scientist or just an hobbyist, this kit gives you an edge comparatively with its wide range of components and sensors. 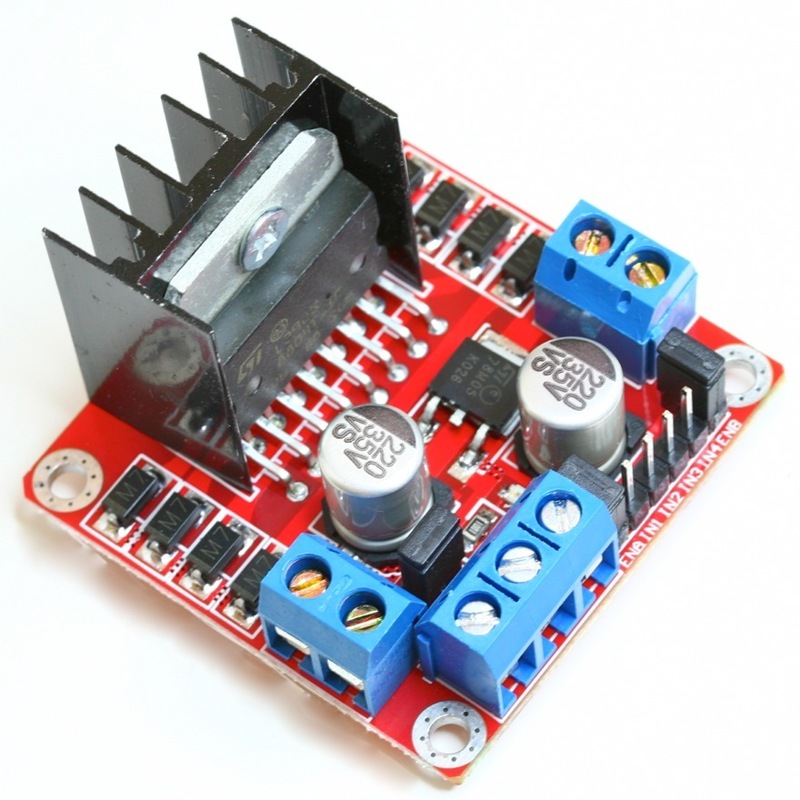 With about 250 components, the kit is very affordable and user friendly for both beginners and professionals. 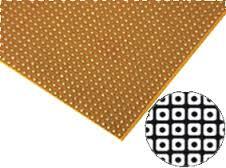 Below are the contents of the kit.